Using the discourse model for negotiation of meaning developed by Varonis and Gass (1985), this study investigates the quality of the negotiation of meaning by eTandem partners in a videoconferencing-supported multimodal environment, and the facilitating effects of such an environment on L2 acquisition. To achieve this, three case studies were chosen from the interaction between15 pairs of Mandarin and English students, to represent three levels of Mandarin proficiency of the dyads, namely, the low, intermediate and high levels. 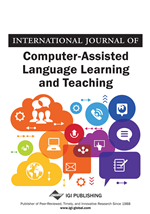 Data were examined and corroborated both qualitatively and quantitatively to reveal the interaction patterns of the dyads and the extent to which the multimodality of the videoconferencing environment contributes to learning. Recommendations are also drawn from this research. This research is set against the established second language acquisition (SLA) tenet that interaction facilitates second language (L2) learners’ communicative competence. Yet, to find a sustainable way for interaction outside the classroom and in culturally and linguistically authentic contexts is still a pressing need faced by foreign language learners and professionals. In recent years, the qualities of eTandem have been analysed through many studies to determine its efficacy in L2 learning and acquisition. eTandem learning is generally defined as a partnership between pairs of language learners learning each other’s first language and improving intercultural understanding (Thorne, 2005; Cziko, 2004; Brammerts, 2003). What are the characteristics of the negotiation of meaning by eTandem partners in a videoconferencing-supported multimodal environment? In what ways does the synchronous multimodal environment contribute to L2 acquisition? This investigation is timely as multimodal eTandem interaction supported by videoconferencing tools is still under-explored in L2 learning, both theoretically and in practice. Such interaction deserves closer examination for at least two reasons. Pedagogically, it could have unique facilitative potential for language development as it represents the closest form of interaction to face-to-face interaction. Technologically, videoconferencing tools and supporting infrastructure (e.g. internet speed, and tablet and mobile computing) have recently become much more developed and sophisticated than before and are now an increasingly important means of communication for the digital generation. This study thus aims to contribute to research in this area by examining the characteristics of the discourse produced by eTandem learners, and the impact of the videoconferencing environment on eTandem interaction. The discourse model developed by Varonis and Gass (1985) for analyzing negotiation of meaning was adopted for such an analysis.